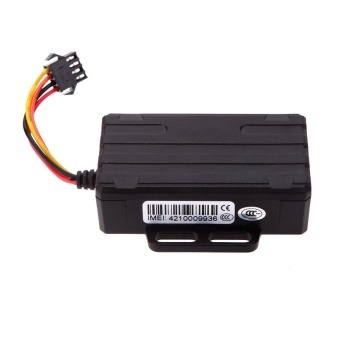 Working based on existing GSM/GPRS network and GPS satellites, this product can locate and monitor any remote targets by SMS or internet. The most advanced technology of GPS and AGPS dual positioning. The waterproof level achieve IPX-6. It can be used for electric vehicle, motor bike, truck, car, etc. Surpport SMS message to check the location info. Built-in vibratin sensor, realization vehicle anti-theft intelligently. ACC the ignition signal detection, vehicle status prompted. Built-in backup battery, realize the illegal cut the line alarm.